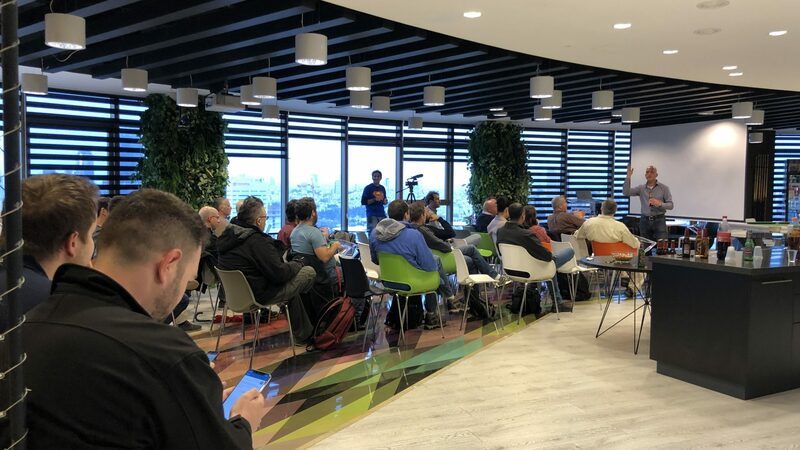 April 1-st was a great deal for the meetup session held in Tel Aviv. It hosted Guy Glantser, CEO of Madeira Data Solutions specialized in Microsoft data platforms and data related technologies, such as SQL Server, Azure SQL Database and Azure SQL Data Warehouse. The Agenda was rather interesting, so INCOalliance team decided to participate. The first section was devoted to AWS Big Data Demystified and the second one was booked for Azure Data Services and its Latest Announcements and Updates. The meetup was hosted at Investing.com in their comfortable and cozy place at Ha-Shlosha St 2 · Tel Aviv-Yafo. The first speaker Omid Vahdaty shared his experience in challenging Big Data World and this was great to hear back about technological pros and cons in usage of AWS infrastructure. He covered topics devoted to data transformation (TSV, TXT, CSV, JSON) into ORC/Parquet. We have asked questions about technologies for data modelling, however, the topic is too huge and should be described in the new article. From the speaker’s perspective, Omid Vahdaty shortly analyzed Redshift, EMR, Athena, SparkSQL and others. Also, we were interested in security tips and held separate conversation with meetup participants. In the second half of the meeting, Guy Glantser was sharing session which covered and added some value points about announcements and releases in Azure related to platforms and data services of Azure Databricks, Azure SQL Database and Power BI. At INCOalliance, we are doing great things in the perspective of building culture of transparency, so this is amazing experience to visit new places, meet new people and discuss high service standards with further integration for ourselves and for our customers. That is why the latest news in the World of Big Data and AWS in particular, got from well-known technological players, are fundamental. I have the passion to write and share my insights in the area of the Software development. Together with my friends and partners we gather amazing stuff all over the Globe and deliver the best to our readers.